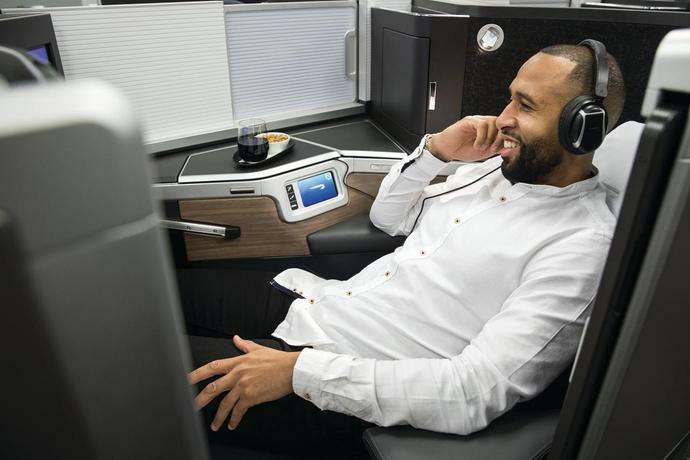 British Airways has pulled back the curtain on its new business class seat which features a sliding door for privacy, flat-bed seats, vanity and increased storage space. Ahead of its July debut aboard the A350, BA unveiled the Club Suite, designed in response to customer feedback. Each seat features direct-aisle access -- no climbing over seatmates to go to the bathroom -- a door for greater privacy, and lie-flat beds. 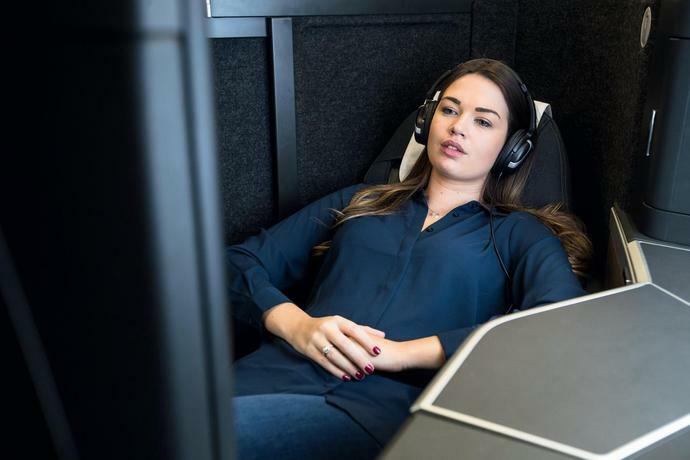 Units are also designed to offer 40 percent more storage; vanity and mirror; Wifi; PC and USB power outlets; and 18.5-inch hi-def screens. Bedding is supplied by The White Company. 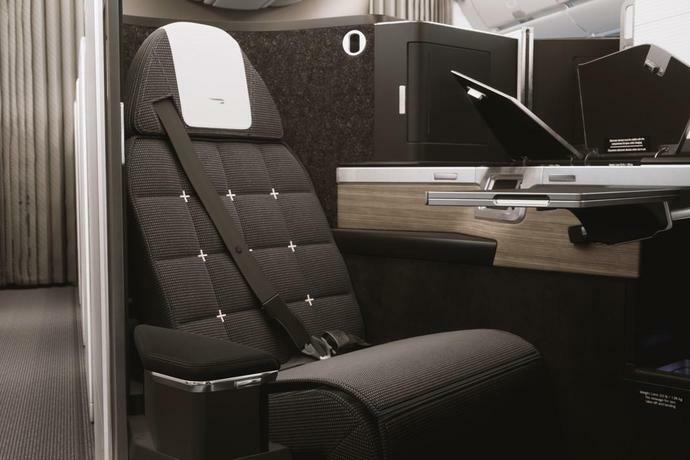 The newest addition to BA's fleet, the A350 claims to offer an improved flight experience with reduced noise levels, high ceilings, and ambient lighting meant to complement the time of day and outside light. 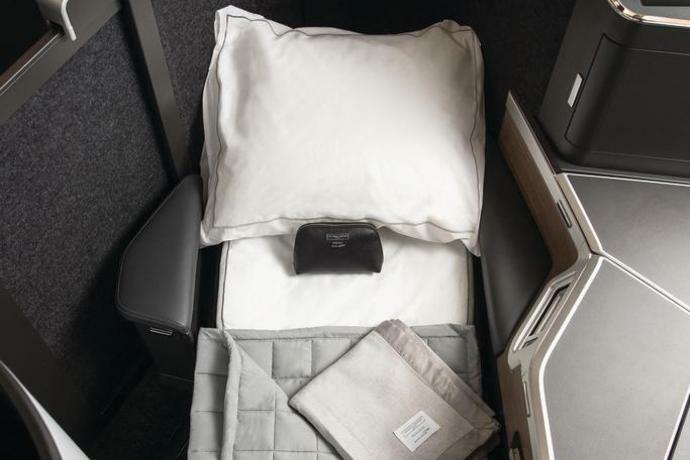 Cabins have also been designed to feature higher levels of humidity and refreshed air: cabin pressure is equivalent to an altitude of just 6,000 feet. The A350 is also one of the more fuel-efficient aircrafts in the industry. British Airways' first A350 will debut in July flying between London and Madrid, before being dispatched for long-haul flights beginning in October. Another three A350 aircraft are also scheduled to join the fleet in the fall.